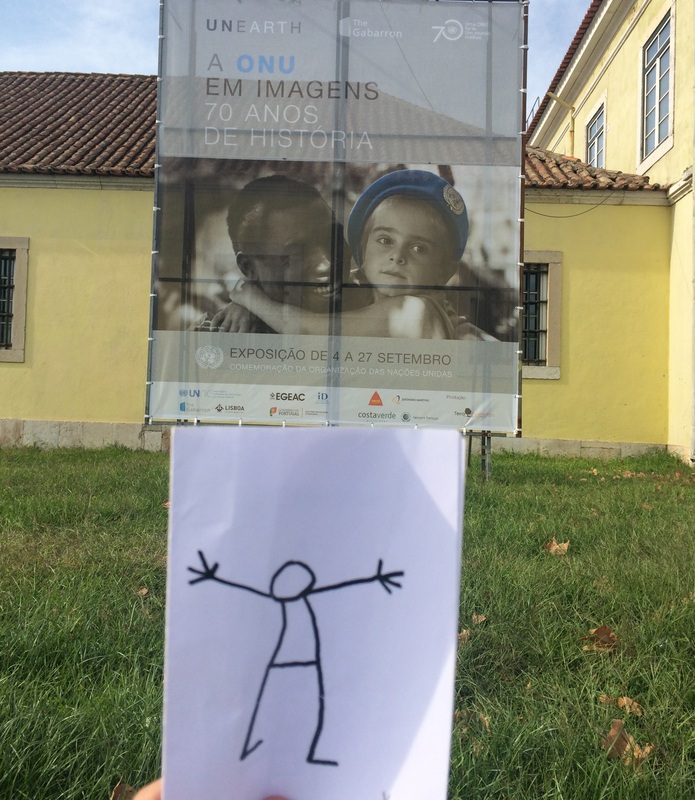 After learning more about the WFP´s role in the reconstruction of Indonesia, Elyx had to hurry up to attend a great UN event in Portugal. This time our digital ambassador was a special guest to the UNEARTH exhibition that celebrates the organization’s 70th anniversary, showing pictures and posters about four action pillars: human rights, peace and security, development and humanitarian assistance. 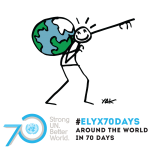 Elyx learned about the Portuguese presence and work in the UN, which started in 1955, namely the fact that the country hosts offices of several agencies and committees: FAO , UNICEF , UNESCO, OIT, UNICRI, OIM, UNGC, and UN-EGOV. In the UN diplomatic front, Portugal had a decisive role in the independence of East Timor (a former colony that was invaded by Indonesia in 1975), that became the first new sovereign state of the 21st century on 20th May 2002. Elyx joins UN local agencies for a bicycle ride around the city. Impressed by UNEARTH exposition, where many pictures show the plight of migrants and refugees, Elyx was reminded that the current UN High Commissioner for the Refugees is the former Portuguese Prime Minister, António Guterres, who is working hard to encourage the EU member-states to act upon the ongoing crisis. 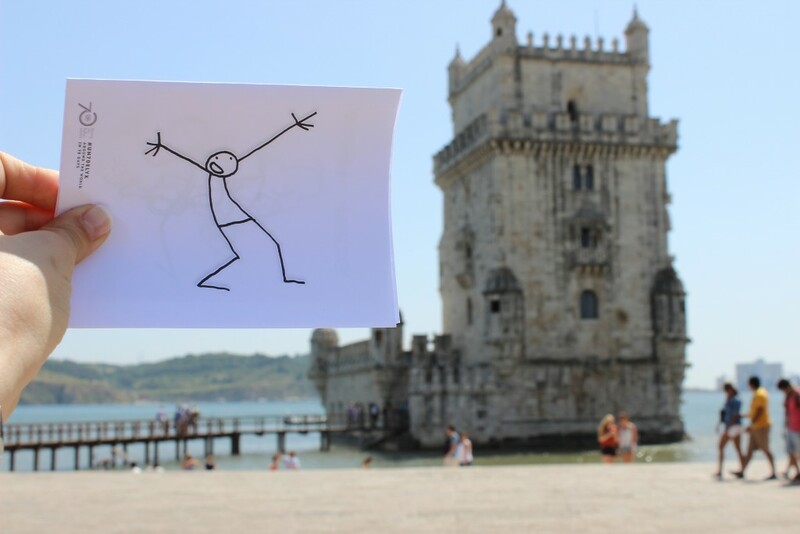 Elyx makes a stop at Torre de Belém from where Portuguese departed for the Discoveries. 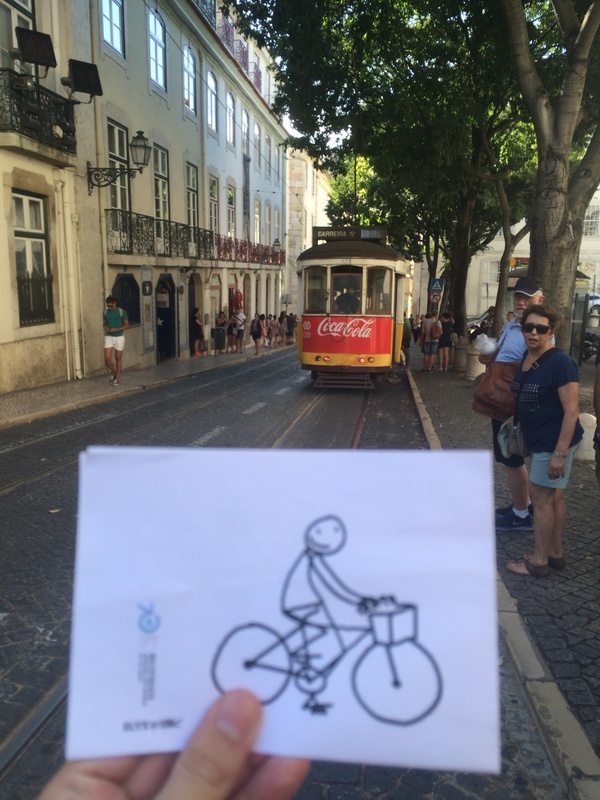 Taking a stroll around the city, Elyx was pleased to know that Portugal is strongly committed to advocating the UN work across the world. As one of the vice-chairmanships of the 69th United Nations General-Assembly, since June 2014, Portugal has a fundamental role in evaluating the outcome of the Millennium Development Goals and in the setting a new agenda for the Sustainable Development Goals. In addition, Portugal is also candidate for a seat as Non-Permanent Member of the Security Council for the term 2027-2028. Elyx stops at the Portas do Sol viewpoint to look at the Tagus River. 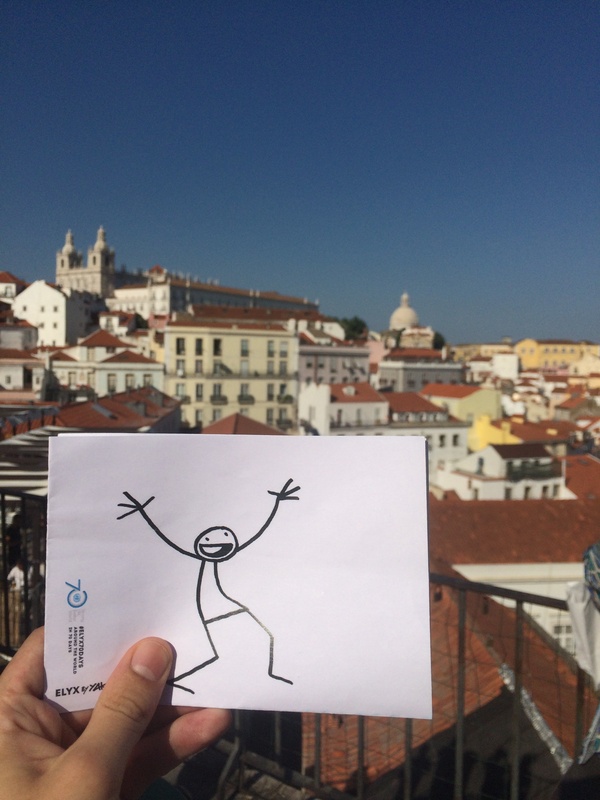 As the weekend trip in Lisbon is coming to an end, our digital ambassador stopped to admire the stunning view of the city before getting ready to a new destination. Elyx arrives at the UNEARTH exposition,which is open to the public until the 27th of September.